Amy Fortier is the director of Dimensions in Dance, and its affiliate company Ballet Misha. Amy trained privately with Michelle Leslie, at Boston Ballet on the professional track, and later received a scholarship to attend Walnut Hill School for the Arts, a boarding school for young artists in Natick, MA. Amy graduated with high honors from Goucher College with a triple concentration in Dance, English Literature, and Art History, where she was given lead roles in pieces choreographed by dancers from the New York City Ballet, Ballet Austen, Nashville Ballet, and the Pennsylvania Ballet. 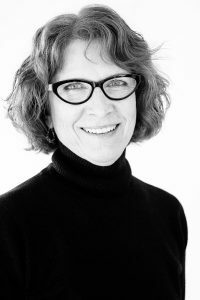 In 2003, Fortier received her Master’s Degree in Literature and Art History from the University of London where she was a fellowship scholar. In London, she continued training with dancers from the English National Ballet. In 2007, Amy founded Ballet Misha, a non-profit dance company committed to bringing high caliber dance performances into the New Hampshire Community. As Director of Ballet Misha, Amy has choreographed and directed several full length ballets including The Nutcracker, A Midsummer Night’s Dream, and The Wild Swans, as well as numerous shorter works and contemporary pieces. Ballet Misha has collaborated with The Currier Museum of Art, The Manchester Community Music School, The Manchester public Library, Canterbury Shaker Village, ArtFront NH, InTown Manchester, as well as brought dance into many local schools. Lauren Allan has been studying dance for over 20 years. She has trained extensively in ballet, pointe, jazz, modern, and hip-hop. She is a University of New Hampshire graduate with a BA in Psychology and a minor in Dance. While at UNH she studied ballet, pointe, jazz, and aerial dance under the direction of Gay Nardone, Assaf Benchetrit, Susan Endrizzi, and Mary Beth Marino. Lauren was also a member of the UNH Dance Company, where she performed in many classical and contemporary works including principal roles in Don Quixote (Kitri), Le Corsaire (Odalisque), and The Nutcracker (Sugar Plum Fairy). She began teaching at various schools and summer intensives around the seacoast area, and has recently brought her training and expertise back to the southern NH area. Along with teaching, Lauren currently dances with Ballet Misha. Maria Bradbury is a California transplant, who has lived in Nashua for 15 years. She trained with San Jose Dance Theater and danced professionally there as well. She has taught classical ballet and pointe for over 20 years. By way of her husband’s military career, she has had the good fortune of living in various locales, all offering wonderful opportunities for professional growth. She has trained with master teachers David Howard, Finis Jhung, Eleanor D’Antuono and Densil Adams and is certified to teach through Dance Masters of America. Besides her husband, Michael, she has a daughter, Lauren, and son, Colin. Ashley Carrier graduated with her BA in dance from DeSales University in Center Valley, Pennsylvania. She is currently a part of a start up modern dance company called Vada Dance Collective that is based out of Philadelphia. Ashley has performed in the Philly Fringe Festival with Vada. She has also performed and choreographed for Dance Ensemble and Young Choreographers Series in college. Ashley was a member XTE (National Dance Honors Society) at DeSales. Some of the artists Ashley has worked with were Sean Curran, Eddie Taketa from the Doug Varone Company, and Trinette Singleton from Joffrey Ballet. She has also worked with David Parsons and his company members in New York City. Alyssa Desruisseaux has grown up as part of the Dimensions in Dance family since she was 7 years old. She trained with the studio up through high school and joined Ballet Misha in 2009, where she has performed roles including Snow Queen, Arabian Soloist, Spanish Soloist, Dewdrop Fairy, and Hermia, in addition to many others. Alyssa received a B.A. in Visual and Performing Arts and a B.S. in Neuroscience at Stonehill College. While in college, Alyssa trained with, choreographed for, and directed Stonehill’s dance company, StoneWorks. With her time in Stoneworks, she also gained valuable experience with set design, lighting design, and costume design. 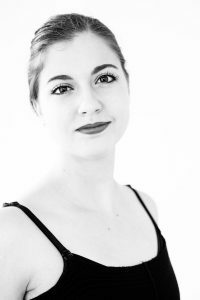 Alyssa has danced professionally with BoSoma, a contemporary dance company based out of Peabody, MA. Alyssa has also danced and taught for the Boston-based modern dance company, Urbanity. Alyssa has performed as part of ArtFront NH, and as part of the Canterbury Shaker Dance Revival Project. She is excited to join the Dimensions in Dance faculty this year. Kelly Diamond has danced professionally for First State Ballet Theatre, Richmond Ballet, Albany Berkshire Ballet, Ajkun Ballet Theatre, Neglia Ballet, Freefall Contemporary Dance Company, and Ballet Misha. Kelly has performed notable roles in such classics as Giselle, Paquita, Swan Lake, Les Sylphides, Cinderella, A Midsummer Night’s Dream, The Nutcracker, Coppelia, Sleeping Beauty and Don Quixote. She has had the priveledge of dancing Balanchine’s Four Temperments, Rubies, and Serenade, as well as contemporary works by Matthew Neenan and Viktor Plotnikov. Kelly also guest performed with Opera Delaware in their productions ofr the Merry Widow and La Traviata. Kelly Joined the Dimensions in Dance faculty in 2014 and is thrilled to still be able to perform with its affiliate company, Ballet Misha. Currently, Kelly is a certified Rolfer™ and owns and operates her own practice in concord, NH. Through Rolfing Structural Alignment, Kelly helps people live with greater ease and improved overall body alignment. Mari Frederique-Streitburger graduated from the University of New Hampshire with a degree in Theater with an emphasis in dance. While at UNH she performed with the UNH Dance Company in the disciplines of ballet, tap, jazz, and modern. She also performed in theater productions of Joseph and the Amazing Technicolor Dreamcoat and No No Nannette at UNH and at Prescott Park in Portsmouth. Mari has participated in community theater at the Palace Theater in A Chorus Line and the New Thalian Players Guys and Dolls. 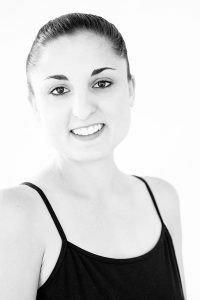 Mari is certified teacher through Dance Masters of America in Ballet , Tap, Jazz, and Acro Jazz. 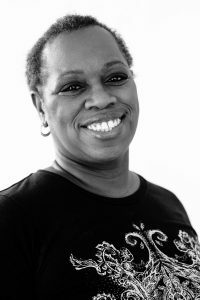 Through Dance Masters she has taken classes with Judith Jamison with the Alvin Ailey Dance Co, Bob Rizzo and Gus Giordano. 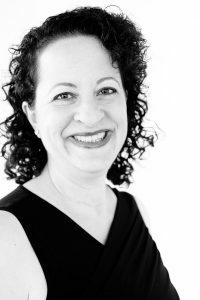 Mari has been teaching dance for over 30 years and has been with Dimensions since its founder Michele Leslie conceived of it in 1995. Mari has also done the choreography for several local musicals, and has had original choreography performed at the Youth American Grande Prix. Elizabeth Kuhlmann received her earliest training at Boston Ballet, where she studied under Boston Ballet Founder Virginia Williams, as well as Sydney Leonard, and Violette Verdy, and performed in many Boston Ballet productions. Elizabeth has studied ballet, pointe, jazz, tap, modern, and lyrical, and continue to perform with Ballet Misha. Elizabeth holds a B.A in English and an M.Ed. in elementary Education from Boston College, and a M.A. in Speech-Language Pathology from The Ohio State University. 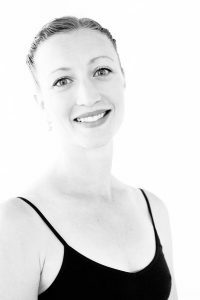 Elizabeth is a gifted dance teacher, and currently teaches the beginner adult ballet class, and for Dimensions in Dance’s outreach programs, and is also an administrator. Jessica Gagnon has grown up at Dimensions in Dance, beginning her training shortly after Michele Leslie opened the school. 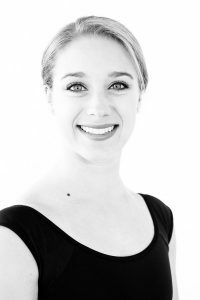 Jessica has studied all dance disciplines including ballet, pointe, jazz, tap, lyrical, modern, hip hop, and contemporary. Jessica graduated Keene State University with a degree in Education and received her MA in Education from SNHU. At Keene State, Jessica continued to pursue her love of dance through club organized activities and performances. Jessica is currently a 4th grade teacher, and is also a teacher and administrator at Dimensions in Dance, as well as a company member of Ballet Misha. 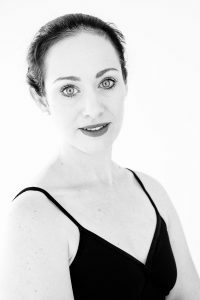 Jessica has performed numerous roles in The Nutcracker, The Wild Swans, and A Midsummer Night’s Dream for Ballet Misha, and has also performed for the Canterbury Shaker Dance Revival Project. 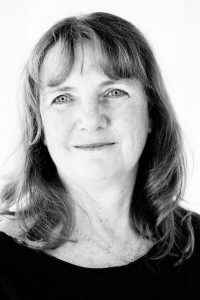 Mary Philippy has been studying dance and fitness for 35 years at various studios in the Manchester area. Mary began her ballet training with Michele Leslie and has worked in administration and as a substitute instructor for Dimensions in Dance. She has attended workshops/intensives throughout NH and MA studying with greats such as Brenda Buffalino and Bob Thomas. Mary is licensed for Zumba, Zumba Gold, and Kids Zumba, and holds certifications in Primary Pilates, Myofascial Release Foam Roller, and Primary Aqua. Mary is also a House Manager and the Volunteer Coordinator for the Palace Theatre in Manchester, NH. All of our professional adult faculty have years of teaching experience and of working with children. All of our faculty are knowledgeable on proper and safe ways of training children, and will develop dancers with proper technique that they can carry on to professional or college dance careers. Our faculty members are also talented choreographers, and their works have been performed across the country.